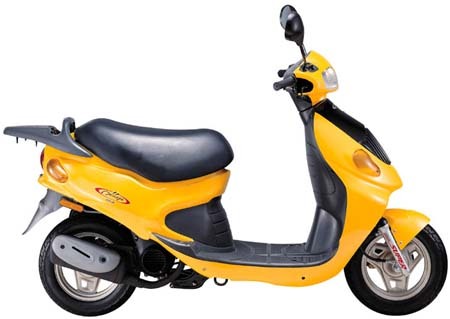 This is the fastest 50cc scooter around capable of reaching a cruising speed of 80 KM/H. Hills are no problem for this fiesty machine. Best of all is the style, no other 50cc scooter comes close to the fashionable styling of the Message. The engine is the latest two stroke technology and is manufactured to the highest of standards. Come for a test drive and see for yourself what this beauty is capable off.